TERRE HAUTE, Ind., Sporting Alert – The battle for championship titles at the 2016 Divison I NCAA Cross Country Nationals will be streaming live online on Saturday, Nov. 19. Thirty-one teams and 38 individuals not part of a qualifying team will take part in each race. Northern Arizona and Colorado will start as the favourites for the men’s and women’s team crowns, while the battle for the individual titles should also be interesting. After dominating the NCAA Mountain Region Championship last week, Colorado women will step on the LaVern Gibson Championship Cross Country Course in Terre Haute, Indiana, on Saturday as the overwhelming favourite for the team title. “What makes this women’s team special for us is the depth in the talent and the balance of egos,” CU head coach Mark Wetmore said. “They all have room for each other, no one is jealous of each other’s success. Saturday’s race is expected to be a cracker. No. 2 NC State has been very impressive in the last two meets, while Providence, Stanford, Michigan, defending champion New Mexico and Washington are all capable of putting pressure on Colorado. “Unlike the men’s race, I would say the women’s race has a clear preface favourite,” Oklahoma State head coach Dave Smith told SportingAlert.com. “But that doesn’t mean much on Saturday. “Gotta go run the race! The battle for top 10 places should also be entertaining, with teams such as Arkansas, the improving Missouri and even Oklahoma State ready to mix it up with the elite pack. “Missouri ran a fantastic race [at the Midwest Regional] and they are led by some low sticks that can be great low sticks in Terre Haute as well,” Smith said. Smith also believes his Oklahoma State Cowgirls are capable of making the top 10. “We would be thrilled with a top 10 finish but, again, I think that would take each woman in our top 5 running the best race of her season on Saturday. “They don’t have to run a lot better than they have during the season up to this point, but they must at least match their best individual performance. Meanwhile, on the men’s side, Northern Arizona is the pre-race favourite and will be competing for the program’s first-ever national title. 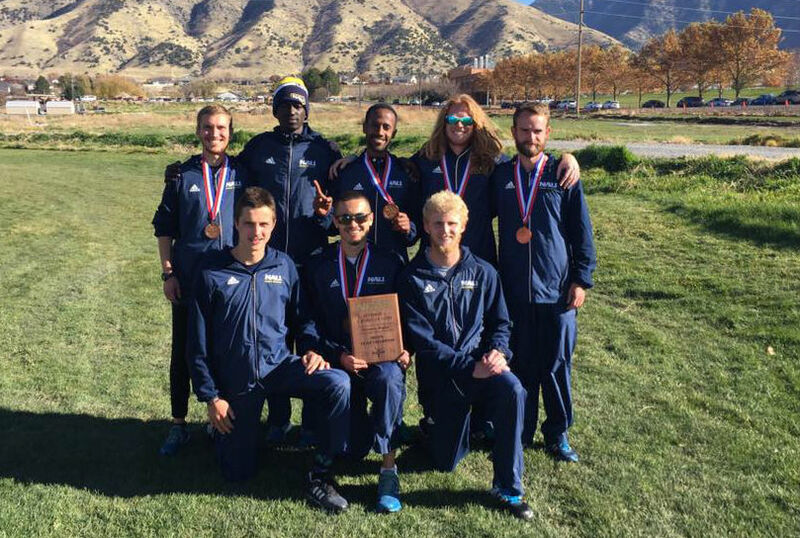 “The men have really run above my expectations,” said Northern Arizona coach Eric Heins. At the same time, expect the Futsum Zienasellassie-led Lumberjacks to have their hands full against some of the best programs in the country. Colorado, Stanford, BYU, defending champion Syracuse, Arkansas and Oklahoma State are among the teams also battling for the men’s honour. “I believe that any of the top 10 or so teams is good enough to win this year on the right day,” OSU coach Smith tells SportingAlert. “The team who wins is going to have a great day. Individually, the winner from last year’s championship, Edward Cheserek, Patrick Tiernan, Zienasellasse, Justyn Knight and Grant Fisher are the top contenders for the men’s 10K title. In the women’s 6K, Erin Finn, Alice Wright, Anna Rohrer, Amy-Eloise Neale and Brenna Peloquin are the pre-race favourites.